The party is over. We have said, ‘goodbye’ to the old year of 2011 and ‘hello’ to the new year of 2012. Now, we reflect on the past year and decide what changes we want/need to make. We create resolutions to ‘fix’ or achieve these changes. Also, many people use this opportunity to set goals they want to reach in the up incoming year. For the early weeks of January, people will be talking about their resolutions and how they achieve them. 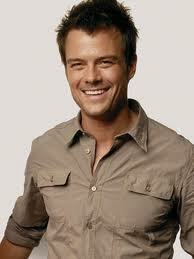 Josh Duhamel, plays ‘Sam Ricker” in the newly released movie “New Year’s Eve”. He is an American actor who has been in several movies and TV shows such as “Transformers” and “All my Children”. Let’s check out Josh Duhamel’s New Year’s Resolutions. Interviewer: Are you a resolutions kind of guy or not your thing? Josh Duhamel: Aah Yeah I am. I don’t know if I would call them resolutions but they are goals that I try to set every year. I write specifically what I want to do professionally and personally. Interviewer: Wow! So you actually make a list. Josh Duhamel: Yeah and I put it up on the board. So I have to look at it. So that I am constantly working toward it whatever it is. Interviewer: Very cool! Any big ones this year? Josh Duhamel: Aaah Yes, I’m going to learn how to rodeo. Josh Duhamel: Yeah I want to learn how to tie a steer. No. Interviewer: That would be a pretty cool one wouldn’t. Josh Duhamel: That would be but I am not that manly unfortunately. Goal setting and motivational technique:Goal setting and Motivational Technique: Josh uses a common ‘goal setting’ technique. He categorizes his goals under the titles ‘professional’ and ‘personal’. Next, he makes a list and puts it up on a (cork) board as a daily reminder or daily motivator. Josh follows up with more details as to ‘why’ he uses this technique (daily reminder/motivator). Aaah Yes, I’m going to learn how to rodeo. Yeah I want to learn how to tie a steer. I was just joking. I don’t want to learn how to rodeo and I don’t want to learn how to tie a steer. Josh uses a simple joke form to convey the idea that he doesn’t want to tell the interviewer/listener his true goals for 2012. Too bad! However, we were able to see his method or technique for creating professional and personal achievement. Note: Interview adapted for common conversation practice. Interviewer: Are you a resolutions kind of guy/girl or not your thing? Answer: Aah…yeah I am. I don’t know if I would call them resolutions but they are goals that I try to set every year. I write specifically what I want to do professionally and personally. Answer: Aah…yeah I am. I don’t know if I would call them resolutions but they are goals that I try to set every year. I write my goals down and tell my friends about them. Josh Duhamel: Aaah Yes, I’m going to learn a new language. Answer: Aah…yeah I am. I don’t know if I would call them resolutions but they are goals that I try to set every year. I try to find a friend who has the same resolutions so that we can help each other. Josh Duhamel: Aaah Yes, I’m going to lose weight by going to the gym 3 times a week. Have a good week practicing! See you next week!